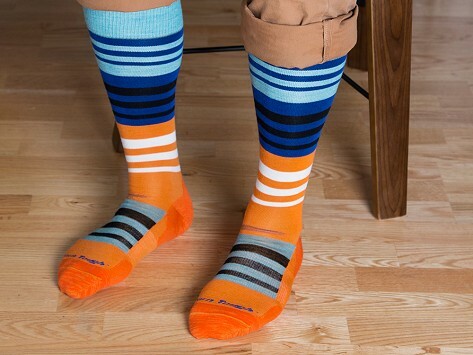 All-performance socks made of fine gauge Merino wool for highly breathable, itch-free, next-to-skin comfort. Perfectly designed for skiing and board riding. Bought these for my son who loves to ski. He has worn them and loves them. Very comfortable and durable. Great quality and nice colors, these socks have become my new favorites! These fit very well - can't wait to get them in my ski boots!